Gretel taking her side of the field. 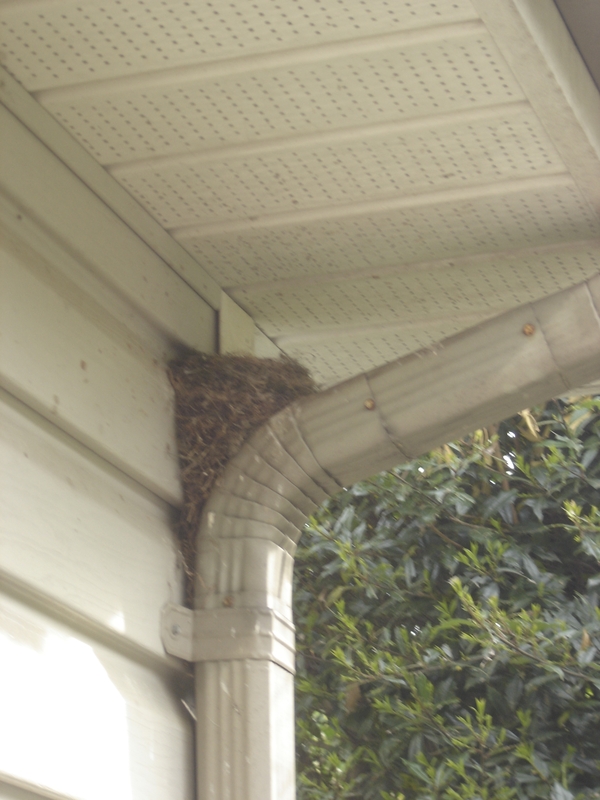 And while the kids play, the birds are making nests (and messes) on the porch! But we can always enjoy the colors and lovely temperatures of spring. I wish you could smell the lilacs. They are wonderfully fragrant. And the peonies are stating to form tight little buds. Maybe I’ll have some pictures of those before much longer. So how are things in your backyard? 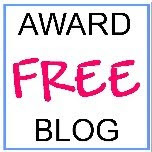 Previous Previous post: What Makes a Character Memorable? I think peonies are among the most gorgeous of flowers! Gretel is lucky to have room to run and play. Unrelated: My brother and family just went to VT yesterday for a spring scrimmage and posted photos on fb of everyone together. Oh dear, we have one of those messy nests on the back porch at the farm. Rick pressure washes it away, and well, they just “rebuild”. Luckily I caught the one on the ceiling fan before it was finished. And then had to wash the whole porch because of the mud splatter. Yikes. I’m so happy to see you back MJ. Peonies are definitely gorgeous, but those heavenly scented lilacs are unbeatable. Even Gretel likes them. No flowers yet, but our lawn needs to be mowed already. We have probably been mowing for about a month. Of course, I’ve been known to take the mower out in the winter just to clip the weeds and wild onions that tend to poke up above the grass. Don’t you just love signs of spring? You capture it well. Your photos are great! Thanks Monica. A new camera is on my list of wants, but I think when the subjects are sweet, the pictures turn out ok. It appears we have some sun but none of those other wonderful things. There would be no rolling in the grass it is mostly muck. No buds or flowers yet. It will come though. I have faith…it will come. Well, when mine are gone, yours will be coming along. Then I’ll be scorching in the heat! 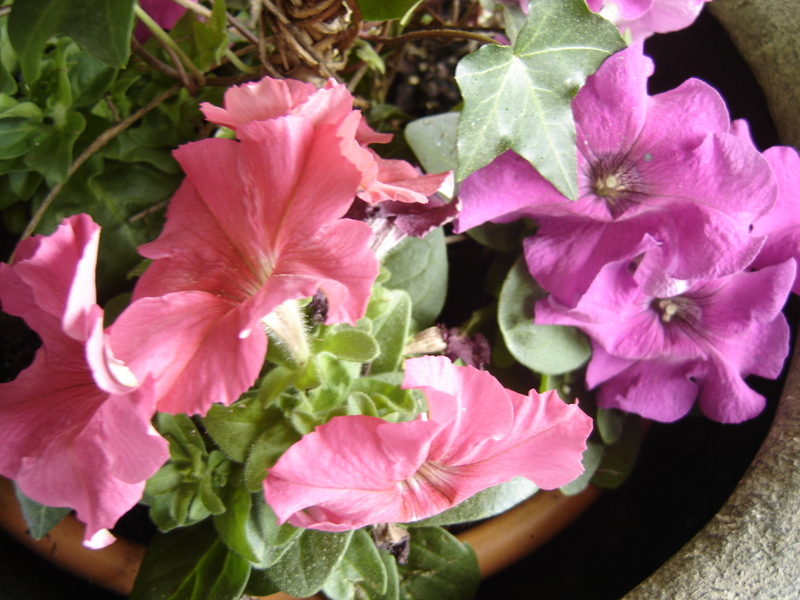 Flowers are blooming, the birds have built a nest (it now contains 3 eggs) in my hanging basket. 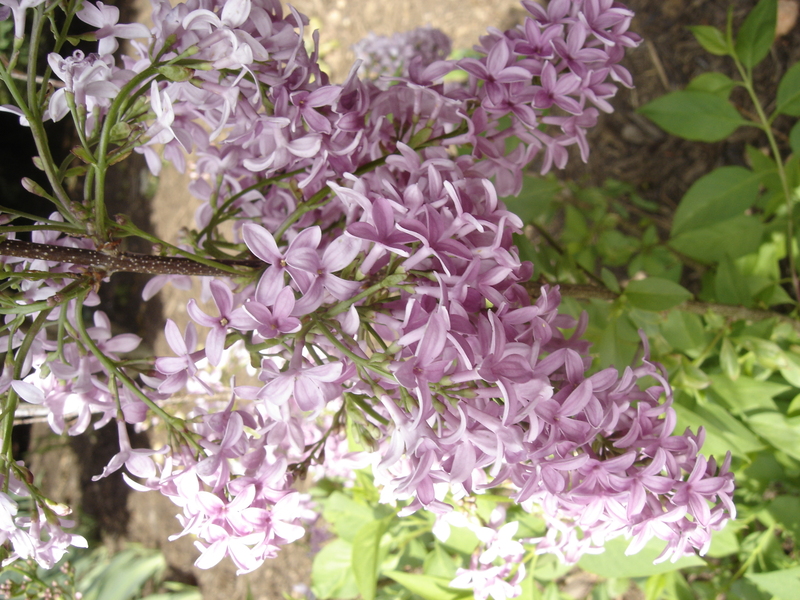 My mother had a lilac; love that scent! Isn’t lilac fabulous? I bet things are lovely in your corner of the world. No nest building on my terrace, but I see birds collecting cotton and other treasures for their nests…they look very confident in their gathering construction materials. There is no shortage of building materials around here. They love to use the pine needles that we put out in the flower beds and bits of moss from the surrounding woods. Isn’t it interesting to think of their nest building abilities? Renee, please don’t make me wistful. Currently no backyard, no garden. Of my own. Which doesn’t stop me enjoying those of others. Gretel is a fine dog. I grew up with a black Alsatian. He was my first “body guard”. Ensuring me a lot of freedom away from my other chaperons (adults that is) at an age as tender as three. Greetings Ursula. Gretel approves of the comment. She is fine indeed. I’m happy to share my garden with you. It’s simple but dotted with my favorite things. And allergies – oh my! 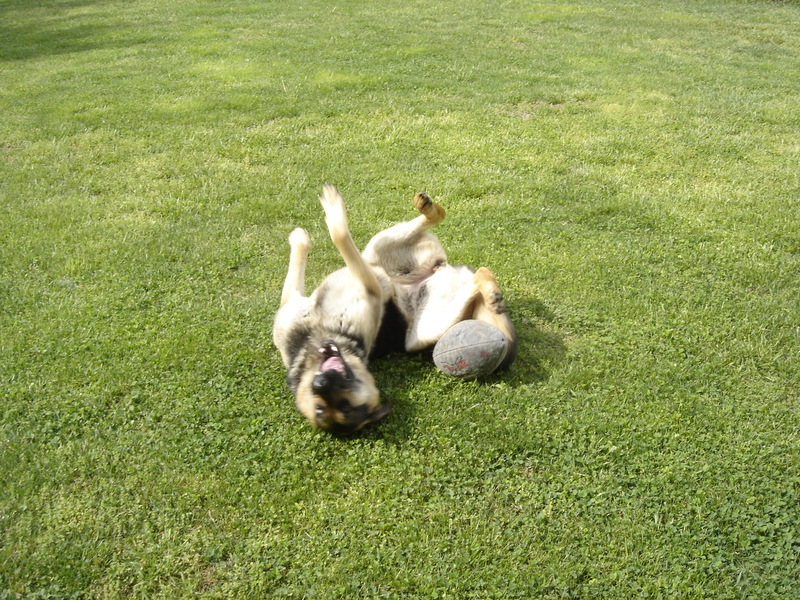 Gretel loves to play and she is my shadow. I always say I’m not getting so attached to our pets, but those are just words. Gretel is so pretty and obviously knows how to spend a spring day. Crazy bird architects – love that. I caught the one on the porch ceiling fan before it was finished and eggs laid. I’ve kept those fans running ever since just to discourage the rebuilding. I think Gretel is ready for football any season! Meanwhile, Cincinnati is very green and the flowers are starting to appear. That’s good to hear Frank. Happy Spring. Our lilacs are a few days from bursting open. I love them. 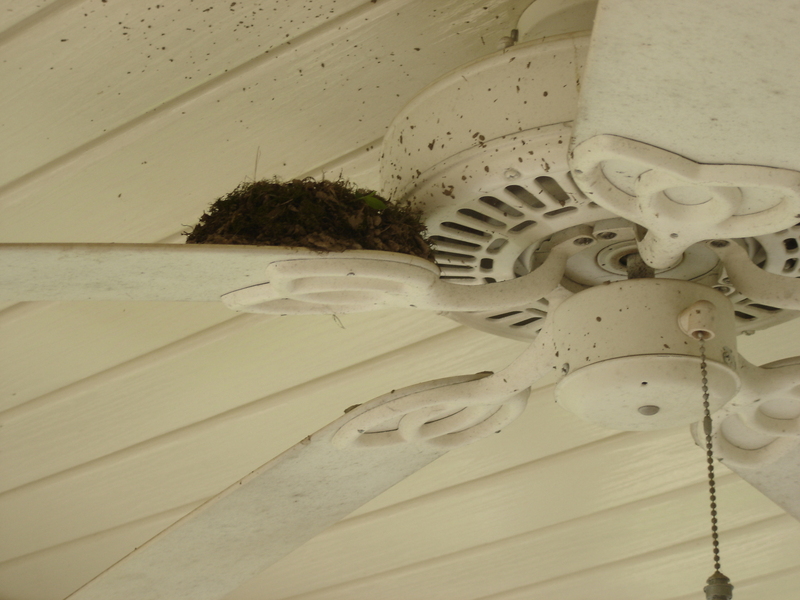 Boy, that nest on the fan blade…what was that poor mama bird thinking? She had apparently started it on several of the blades. 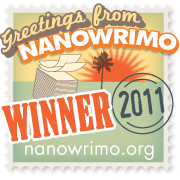 Perhaps the wind blew them around and when she returned, started all over again. We have plenty of bird houses around, so I hope she found one of them. My wife and I were just talking about the amazing places in which birds build their nests. This morning, we watched a bird going in and out of the open-ended pole that reaches across a nearby road and holds the traffic light. The opening is barely big enough for the bird to fit into, yet there’s obviously a nest in there. Your lawn looks great. Ours is a disaster. Keep in mind, you are only seeing the portion of lawn I have approved. One side is mostly shady and the grass is non-existent. Debating on whether we need to thin the trees or plant a different type of grass. It’s always something. Great pictures! 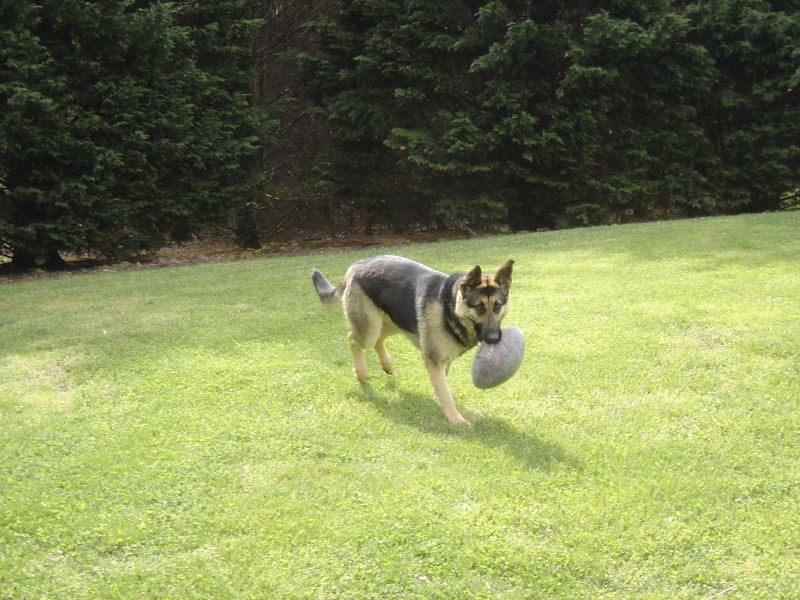 I really enjoy looking at Gretel playing football. Looks fun. Thank you. That is high praise coming from you – the master of great pictures. Gretel inspires me I suppose. 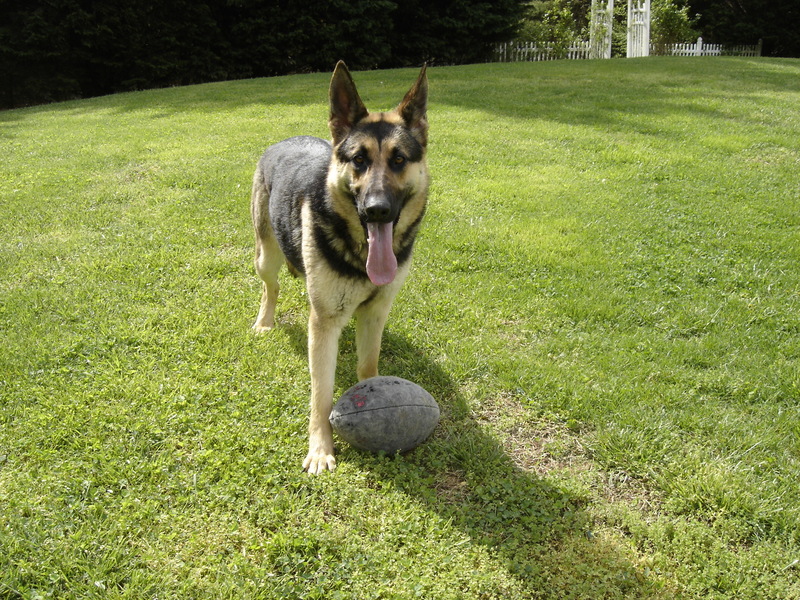 I hadn’t even considered doggie football! Things are springing to life in our garden, too. 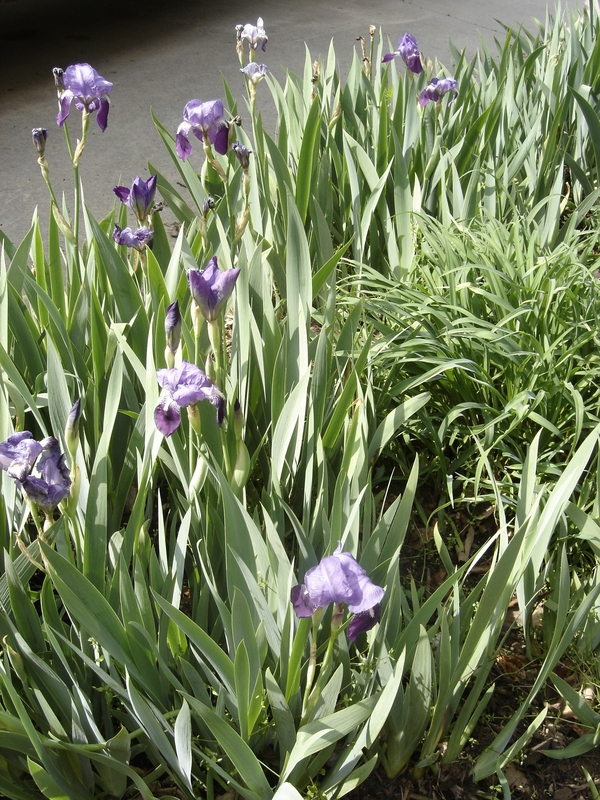 The irises are in bloom, along with the catmint, yarrow and high mallow; the azaleas faded away. The bee balm has spread considerably since last year, as have the black-eyed susans. (The latter two are only foliage at this time). There are a TON of buds on the Asian lilies this year. Love this!!! 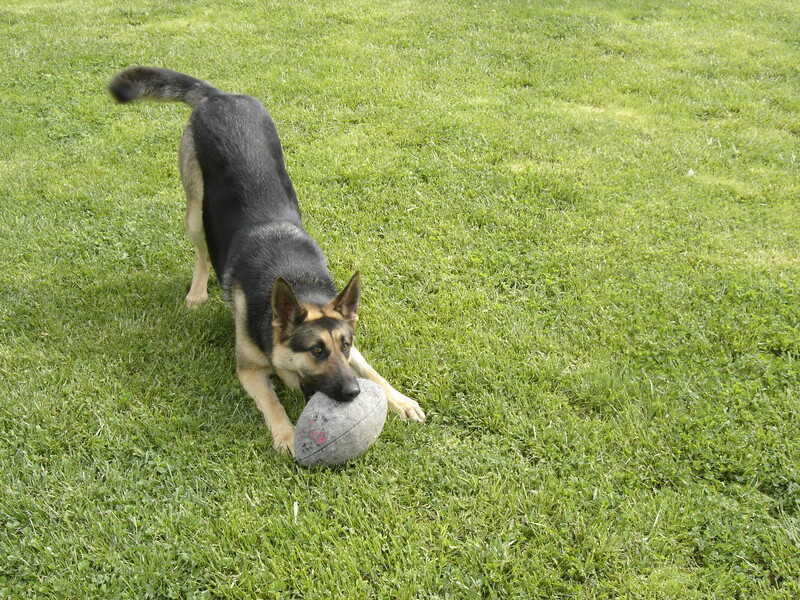 I’d love to join a game of doggie football with Gretel! High paw! 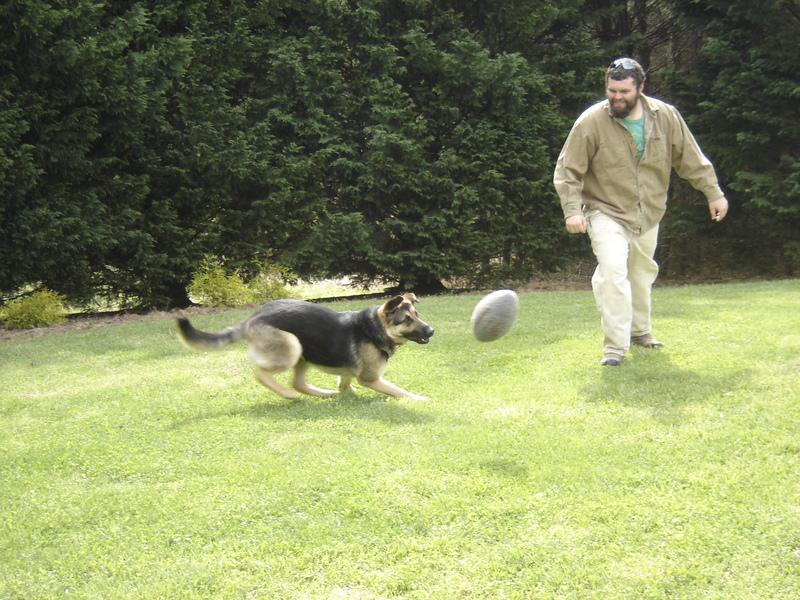 Miles loves to play football as well, but his is actually a soccer ball. 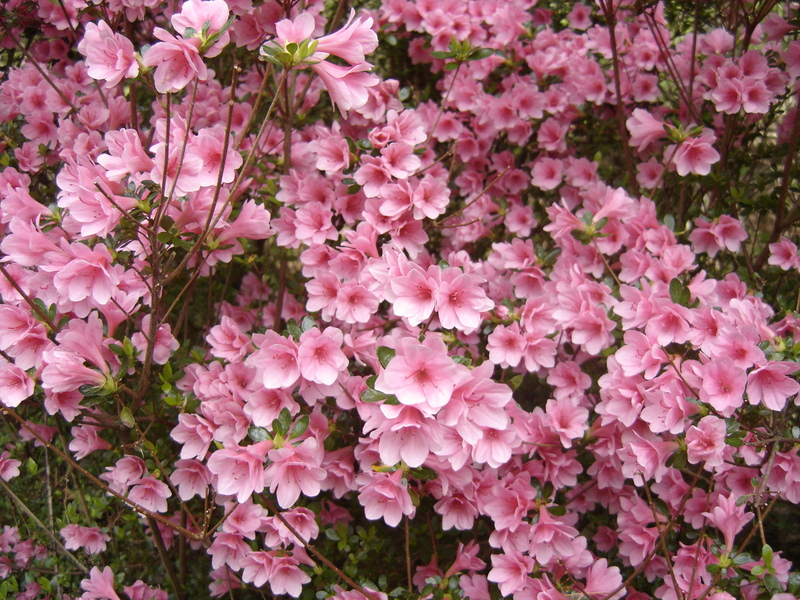 I love Your Azalea photos.